This is a funny story that begins with Ethan refusing to stay seated in class. The story unfolds from the perspective of five students who learn from this incident that it is best to protest within the system. These students use Invention Day as an opportunity to channel their energy about these topics that they are passionate about. These relatable characters share their realistic experience in 7th grade and everything that goes with it. 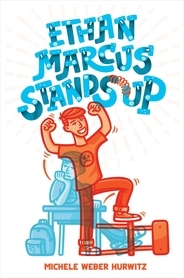 It is a very inspirational story that weaves in humor, relationships, friendship, perseverance, and standing up for what you believe in even if it seems like it won’t make a difference. 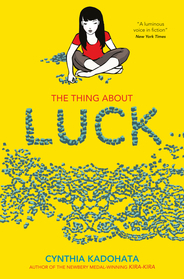 This story’s message makes this a must read for all middle grade students. Tess and Theo Biedermann and their friend Jaime Cruz are happy living in their historic New York City apartment building—until a real estate developer announces that he's buying it. 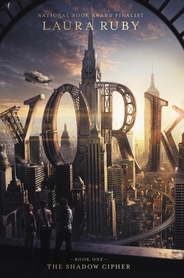 If Tess, Theo and Jaime want to save their home, they'll have to prove that the Old York Cipher—a centuries-old puzzle with clues in the streets and historic buildings of NYC—is real. And there's only one way to do that: solve it. Thousands of miles south of the island of Bliss, day and night last for 72 hours. Here is one of the natural wonders of this world: a whirlpool thirty miles wide and a hundred miles around. This is the Drain. Anything sucked into its frothing, turbulent waters is never seen again. Wren has spent most of her life on Edgeland, a nearby island where people bring their dead to be blessed and prepared for the afterlife. There the dead are loaded into boats with treasure and sent over the cliff, and into the Drain. 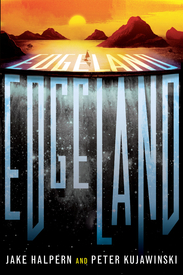 Orphaned and alone, Wren dreams of escaping Edgeland, and her chance finally comes when furriers from the Polar north arrive with their dead, and treasure for their dead. With the help of her friend Alec, Wren plans to loot one of the boats before it enters the Drain. But the boat–with Alec and Wren onboard–is sucked into the whirlpool. What they discover beyond the abyss is beyond what anyone could have imagined. Summer knows that kouun means "good luck" in Japanese, and this year her family has none of it. Just when she thinks nothing else can possibly go wrong, an emergency whisks her parents away to Japan--right before harvest season. Summer and her little brother are left in the care of their grandparents -- Obaachan and Jiichan -- who come out of retirement in order to harvest wheat and help pay the bills. The thing about Obaachan and Jiichan is that they are old-fashioned and demanding, and between helping Obaachan cook for the workers, covering for her when her back pain worsens, and worrying about her lonely little brother, Summer just barely has time to notice the attentions of their boss's cute son. But notice she does, and what begins as a welcome distraction from the hard work soon turns into a mess of its own. Having thoroughly disappointed her grandmother, Summer figures the bad luck must be finished--but then it gets worse. And when that happens, Summer has to figure out how to change it herself, even if it means further displeasing Obaachan. Because it might be the only way to save her family. 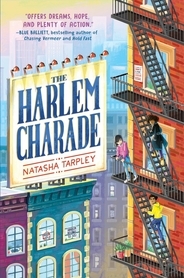 Not only does this book include a fast-paced and "just right" mystery for middle grades, the characters are diverse in many ways but their differences do not separate them. They are just kids out there doing kid things (along with some sleuthing), working together for the greater good of their neighborhood, and helping each other understand themselves a bit better along the way. I highly recommend this book for any middle grade classroom and for any middle grade reader! In 1865, the Civil War was winding down and the country was reeling from Lincoln’s assassination. Thousands of Union soldiers, released from Confederate prisoner-of-war camps, were to be transported home on the steamboat Sultana. With a profit to be made, the captain rushed repairs to the boat so the soldiers wouldn’t find transportation elsewhere. More than 2,000 passengers boarded in Vicksburg, Mississippi . . . on a boat with a capacity of 376. The journey was violently interrupted when the boat’s boilers exploded, plunging the Sultana into mayhem; passengers were bombarded with red-hot iron fragments, burned by scalding steam, and flung overboard into the churning Mississippi. Although rescue efforts were launched, the survival rate was dismal — more than 1,500 lives were lost. 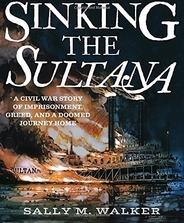 In a compelling, exhaustively researched account, renowned author Sally M. Walker joins the ranks of historians who have been asking the same question for 150 years: who (or what) was responsible for the Sultana’s disastrous fate?